Timber companies and environmental organizations came together Tuesday to announce the Canadian Boreal Forest Agreement, which they say could protect a swath of boreal forest twice the size of Germany, and maintain forestry jobs across the country. “This is an agreement between the two principle combatants over logging,” said Steve Kallick, director of the Boreal Conservation campaign of the Pew Environment Group. But Indigenous peoples have been left out of the agreement, and grassroots environmentalists are concerned that the proposal represents a move towards more corporate control over forests in Canada. “Name a forest struggle in Canada that hasn’t been spearheaded by First Nations from the beginning,” said Clayton Thomas-Muller, who is the tar sands campaigner with the Indigenous Environmental Network. The three-year agreement is the largest of its kind anywhere on the planet, according to a representative from Greenpeace. Twenty one forestry companies have signed on, as have nine environmental organzations. But for some, like Thomas-Muller, today’s announcement is reminiscent of a another deal, signed in British Columbia in 2006. “It’s a massive tomb, uh, tome that we’ve put together,” misspoke Richard Brooks from Greenpeace at the press conference on Tuesday morning. Only a twelve page abridged version of the agreement has been made public. It is unclear when (if ever) the full agreement will be released. According to Brooks, it will now be presented to various levels of government. “It will really change the nature of environmental work and the debates around the environment,” said Kallick. But whether those changes are for better or for worse is still up for debate. 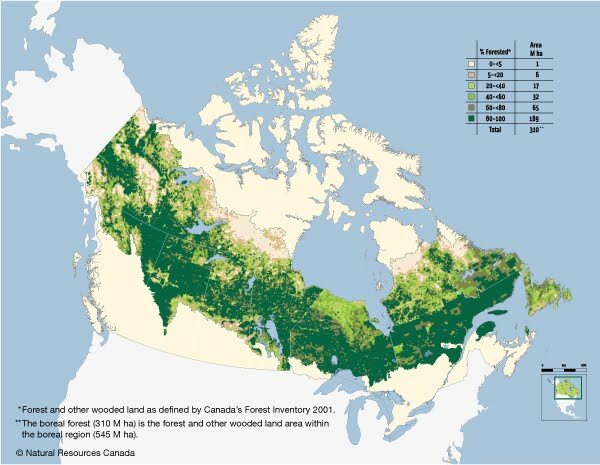 “The Canadian Boreal Forest Agreement is essentially another huge jump away from democracy, towards corporate control of the lands of Canada, as well as the corporatization of what is left of a once defiant environmental movement,” said Macdonald Stainsby, co-ordinator of OilSandsTruth.org. Although the big environmental groups will drop their “do not buy” and divestment campaigns around Canadian timber, Thomas-Muller thinks the conflicts will continue. 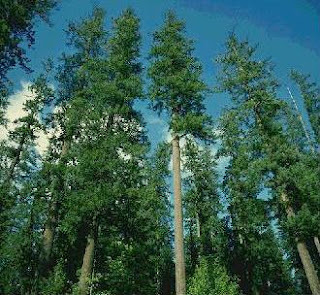 For their part, smaller environmental groups are worried the deal will distract from the ongoing devastation of Canada’s forests, and could contribute to more false solutions for climate change. “Ontario has no legal limit on the size of clearcuts which are permitted to flatten an area equivalent to 1,400 football fields each day in our province,” said Amber Ellis, Earthroots Executive Director, in a press release. “Unless we are to believe that the CBI, David Suzuki Foundation, CPAWS and ForestEthics all under cut their own campaigns, this is only a part and parcel to set up a carbon market, and allow forest offsets to go alongside carbon offsets and further entrench false solutions to the climate crisis,” said Stainsby. Greenpeace spearheaded the deal, which was “in some ways” sponsored by the Pew and Ivey Foundations, according to Lazer. The Pew foundation has already come under close scrutiny by activists because of their ties to large oil companies. The Ivey Foundation has been a prime backer of controversial BC environmentalist Tzeporah Berman’s organization Power Up. For his part, Kallick would like to see other industries at the table on the agreement. “They’re not within the four corners of this agreement, but we would love to have similar talks with the oil and gas industry and also with the mining industry as well,” he said. With files from Dru Oja Jay. This entry was posted in First Nations and tagged Forests. Bookmark the permalink.